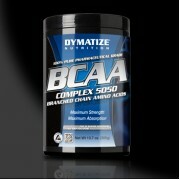 What is Creatine? 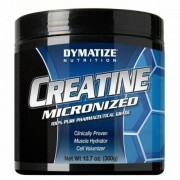 Creatine Monohydrate is a naturally occurring metabolite found in red muscle tissue. 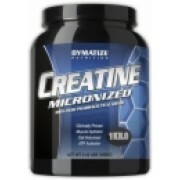 Creatine acts as a powerful ergonomic aid playing an essential role in the energizing of muscle tissue and enhancing athletic performance. * Creatine may help increase muscle torque (strengt.. 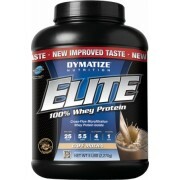 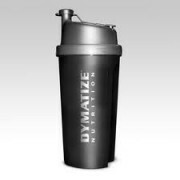 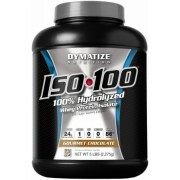 There are many sustained-release protein supplements on the market today, but Elite Fusion 7 from Dymatize is designed to be the most delicious and highly effective one available. 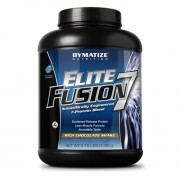 Elite Fusion 7 makes it easy for you to consume the right amount of protein and best combination of protein so..
Glutamine is the single most abundant amino acid found naturally in muscle. 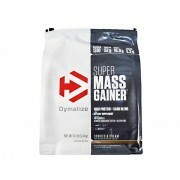 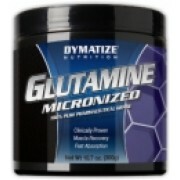 Glutamine is believed to help with muscle cell volumization and natural growth hormone output. 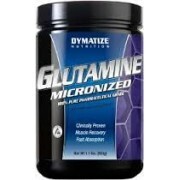 * Muscle Recovery* Nitrogen Transport* Fast Absorption L-Glutamine, the free form amino acid, is the single mo..
L-CARNITINE LIQUID 1100 - 31 SERVING NEW FLAVOR: LEMONADE Dymatize Liquid L-Carnitine 1100 gives you an amazing 31 servings per bottle while delivering 1,100 mg of L-Carnitine in each serving. 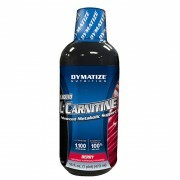 L-Carnitine is an amino acid known for promoting growth and development, fat-burning, increasing e..